Ideal for the neutralization of odors in the cabin of vehicles and in the air conditioning systems. Organic compounds (bacteria, mold, etc.) 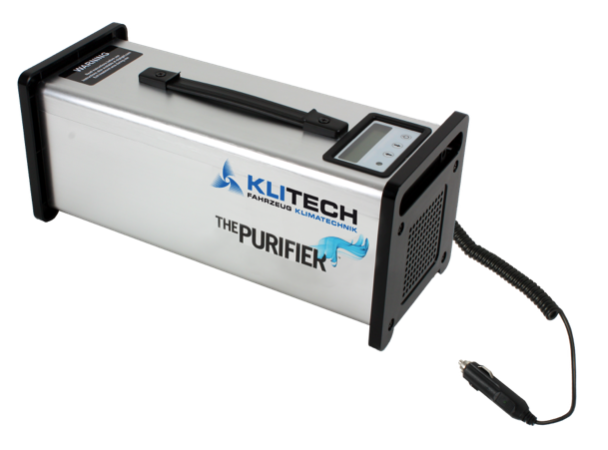 responsible for bad odors are fought quickly, efficiently and without the use of chemicals. Ultrasonic electronic nebulizer. 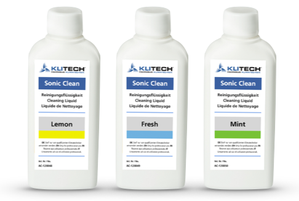 In combination with Sonic Clean cleaning liquids, it eliminates bad odors effectively. Duration of treatment: approx. 12 minutes. 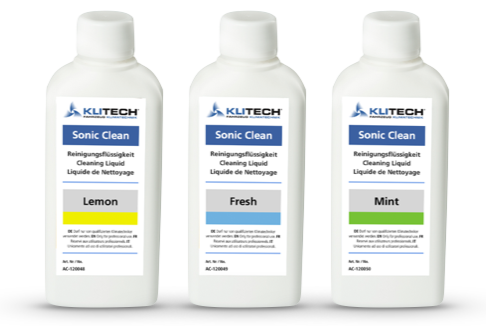 Special cleaning fluid for the Sonic Clean system. Available in three fresh and pleasant scents. 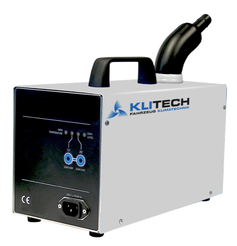 Klitech Smoke Clean eliminates the unpleasant odors of smoke and cold tobacco. 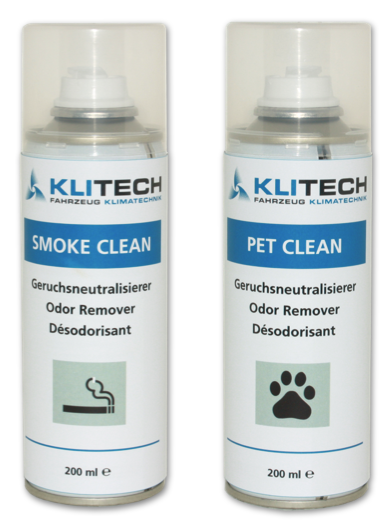 Klitech Pet Clean eliminates animal odors in the passenger compartment. Deodorants for the passenger compartment of vehicles. Neutralize bad smells and leave a pleasant scent. Single use spray.